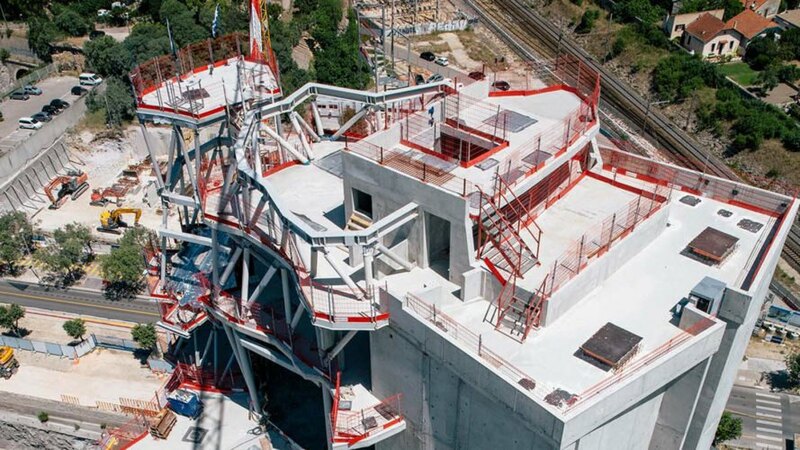 New photos of Frank Gehry‘s tower at LUMA Arles show a mountainous, twisting structure taking shape on the 16-acre site in France. 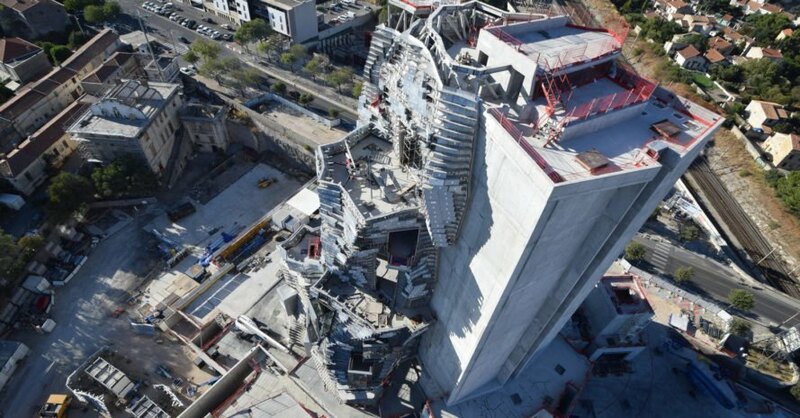 The tower will house a variety of functions, including research facilities, workshop and seminar room, as well as artist studios. The building is expected to be completed in spring 2019. The 9,000-square-metre stainless steel tower sits on LUMA Arles, a large site previously occupied by 19th century railroad workshops. 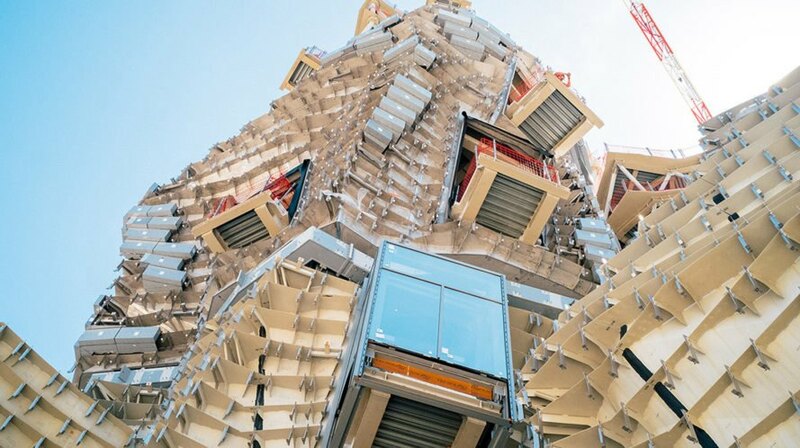 Today, this area is undergoing a rehabilitation process helmed by New York-based Selldorf Architects, while Belgian landscape architect Bas Smets plan to create a beautiful park adjacent to Gehry’s mountain-like tower. LUMA Arles will function as an experimental contemporary center where artists and researchers can collaborate on a variety of multidisciplinary projects. Swiss pharmaceutical heiress and contemporary art collector Maja Hoffmann leads the cultural project, expected to cost around €100 million, and is the Executive Director of LUMA Arles and President of the LUMA Foundation. New photos of Frank Gehry's tower at LUMA Arles, currently under construction, show a mountainous, twisting structure taking shape on the 16-acre site in France. 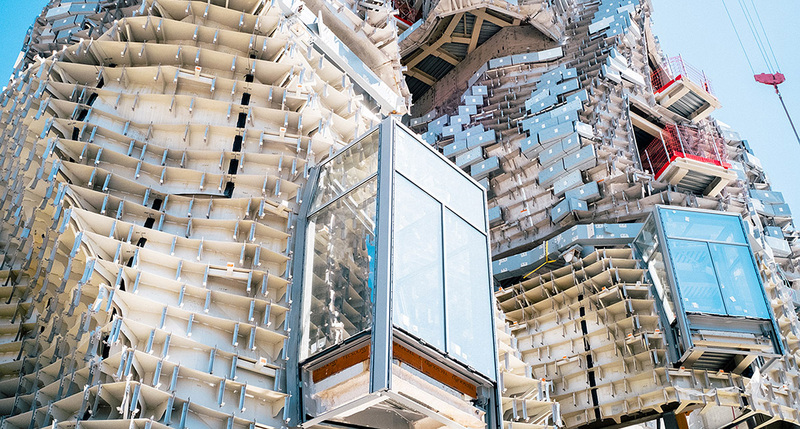 The tower will house a variety of functions, including research facilities, workshop and seminar room, as well as artist studios. The building is expected to be completed in spring 2019. The 9,000-square-metre stainless steel tower sits on LUMA Arles, a large site previously occupied by 19th century railroad workshops. Today, this area is going through a rehabilitation process helmed by New York-based Selldorf Architects, while Belgian landscape architect Bas Smets plan to create a beautiful park adjacent to Gehry's mountain-like tower. LUMA Arles will function as an experimental contemporary center where artists and researchers can collaborate on a variety of multidisciplinary projects. Swiss pharmaceutical heiress and contemporary art collector Maja Hoffmann leads the cultural project, expected to cost around €100 million, and is the Executive Director of LUMA Arles and President of the LUMA Foundation. 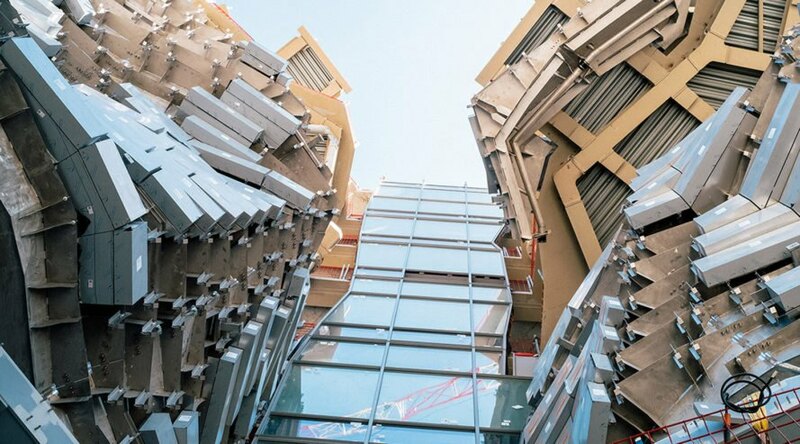 New photos of Frank Gehry's tower at LUMA Arles show a mountainous, twisting structure taking shape on the 16-acre site in France. 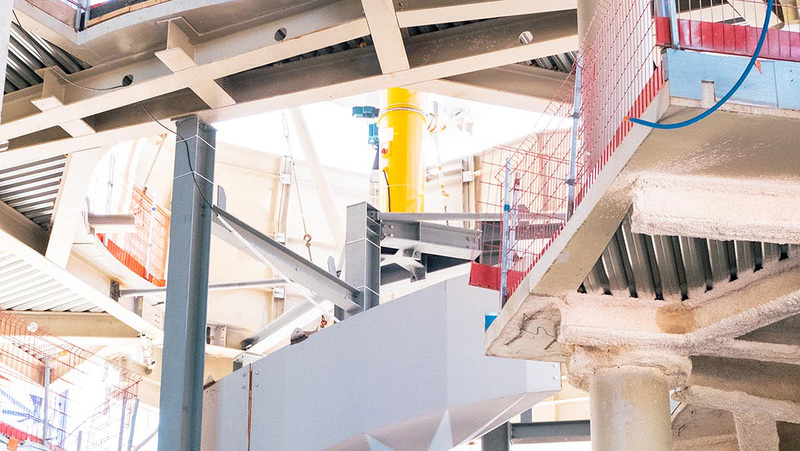 The tower will house a variety of functions, including research facilities, workshop and seminar room, as well as artist studios. The building is expected to be completed in spring 2019.